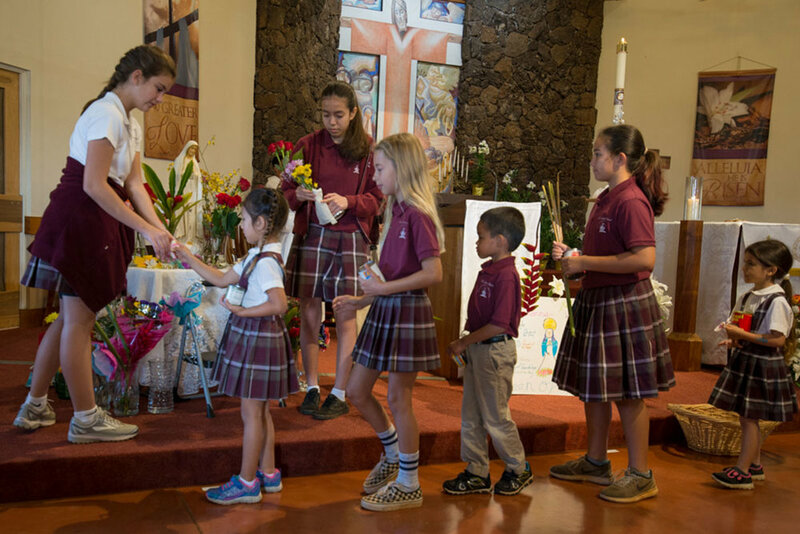 St. Catherine School is committed to providing a Catholic education for the whole child, preparing each to be a responsible member of the community. Inspired by our founders, we strive to live the mission of Jesus, expressing the core values of education, justice, charity and freedom. We recognize parents as primary educators, and teachers as facilitators of discovery and learning as students continue to pursue excellence in their spiritual, academic, and personal lives. St. Catherine School’s application process includes a meeting and interview with the principal, completion of the written application, submission of previous school’s records, current health form (including vaccination record, TB clearance, and physical examination), and birth certificate. Tuition info included on the application. St. Catherine School is fully accredited by the Western Association of Schools and Colleges (WASC) and the Western Catholic Educational Association (WCEA). Additionally, St. Catherine Preschool and After School Care Program are licensed by the State of Hawaii. We are committed to providing a quality education. The purpose of the St. Catherine Parent Teacher Guild (PTG) is to serve the best interest of the school by supporting its mission, programs, activities and fundraising efforts. All parents and teachers are members of the Parent Teacher Guild which meets the second Tuesday of each month. a faithful journey that leads us to a bright future on Kauai.